A vegan twist on a Southern American classic! Punchy and peppery this unique dish is made with black rice and tomatoes and is striking and appetising the moment you look in the bag. 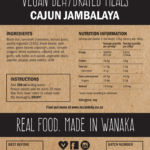 It’s high in protein from tempeh and black beans, and flavoured with paprika, black peppercorns and our own blend of cajun herbs and spices. 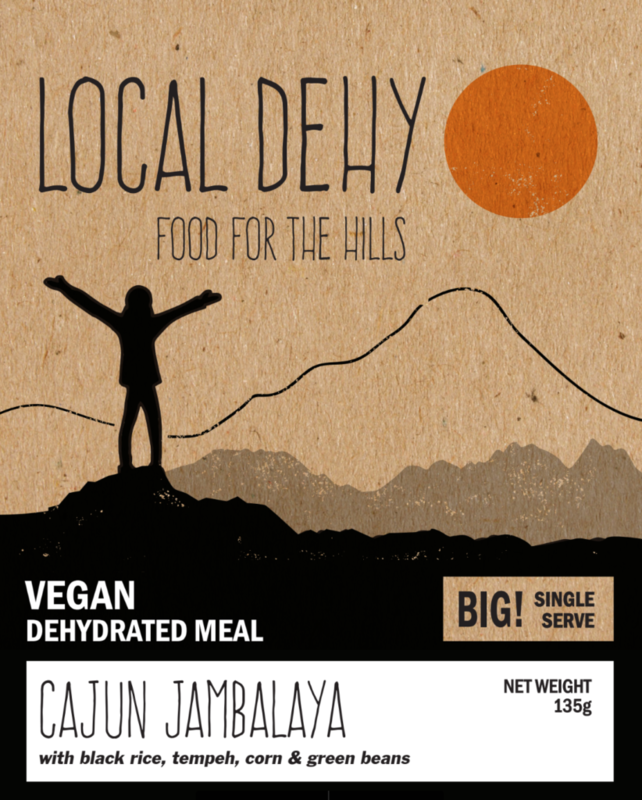 No Local Dehy meal would be complete unless it was bursting with veggies–corn, peas, green beans and capsicum. 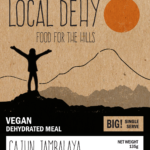 Our Jambalaya is a must try for dehy lovers! Ingredients: Black rice, tomatoes, tempeh, black beans, onion, garlic, green beans, capsicum, corn, peas, vegetable stock, cajun herbs and spices. We currently accept payment by bank transfer. Once the funds are in our account we will ship your order!